Leather.2017 Honda Accord Sport Special Edition26/34 City/Highway MPGAwards: * 2017 IIHS Top Safety Pick+ (When equipped with Honda Sensing and specific headlights) * ALG Residual Value Awards * 2017 KBB.com Brand Image Awards * 2017 KBB.com 10 Most Awarded Brands2016 Kelley Blue Book Brand Image Awards are based on the Brand Watch(tm) study from Kelley Blue Book Market Intelligence. Award calculated among non-luxury shoppers. For more information, visit www.kbb.com. Kelley Blue Book is a registered trademark of Kelley Blue Book Co., Inc.Here at West Coast Toyota, we take pride in ensuring a great experience with every customer who walks through our doors. Our team is always at the ready to make sure all our customers and their vehicles are well taken care of. From our friendly sales team, our well trained technicians, and our informant parts team, we make sure that your visit to West Coast Toyota is one that you remember to share with your friends and family. At West Coast Toyota, WE HEAR YOU! CALL US TODAY AT (562) 733-5745. 2005 Honda Civic EX Very Clean Sunroof New Arrival32/37 City/Highway MPGHere at West Coast Toyota, we take pride in ensuring a great experience with every customer who walks through our doors. Our team is always at the ready to make sure all our customers and their vehicles are well taken care of. From our friendly sales team, our well trained technicians, and our informant parts team, we make sure that your visit to West Coast Toyota is one that you remember to share with your friends and family. At West Coast Toyota, WE HEAR YOU! CALL US TODAY AT (562) 733-5745. 2016 Honda Civic LX31/41 City/Highway MPGAwards: * 2016 IIHS Top Safety Pick+ (When equipped with honda sensing) * NACTOY 2016 North American Car of the Year * 2016 KBB.com Brand Image Awards2016 Kelley Blue Book Brand Image Awards are based on the Brand Watch(tm) study from Kelley Blue Book Market Intelligence. Award calculated among non-luxury shoppers. For more information, visit www.kbb.com. 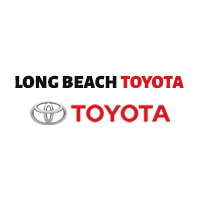 Kelley Blue Book is a registered trademark of Kelley Blue Book Co., Inc.Here at West Coast Toyota, we take pride in ensuring a great experience with every customer who walks through our doors. Our team is always at the ready to make sure all our customers and their vehicles are well taken care of. From our friendly sales team, our well trained technicians, and our informant parts team, we make sure that your visit to West Coast Toyota is one that you remember to share with your friends and family. At West Coast Toyota, WE HEAR YOU! CALL US TODAY AT (562) 733-5745. 2013 Hyundai Sonata GLS NEW ARRIVAL24/35 City/Highway MPGAwards: * 2013 KBB.com 5-Year Cost to Own AwardsHere at West Coast Toyota, we take pride in ensuring a great experience with every customer who walks through our doors. Our team is always at the ready to make sure all our customers and their vehicles are well taken care of. From our friendly sales team, our well trained technicians, and our informant parts team, we make sure that your visit to West Coast Toyota is one that you remember to share with your friends and family. At West Coast Toyota, WE HEAR YOU! CALL US TODAY AT (562) 733-5745. Yes! The best way to start this process is to use our online value your trade tool to find out how much your vehicle is worth. Then come over to West Coast Toyota and we will inspect your car, and give you an exact trade-in amount. After this, you just trade in your vehicle and pick a new one! Used cars are a great option for people who may have a lower budget, or who aren’t looking for a car to last for as long. Used cars usually have anywhere from 10,000 to 200,000 miles already on them. Here at West Coast Toyota we inspect used vehicles and make any repairs to help it run as smoothly as possible. Used cars have a lower price tag, and are a great option for a vehicle purchase! What are the best used cars to buy in the Long Beach area? There is a large variety of cars you can choose from, especially here at West Coast Toyota! The correct answer really depends on your lifestyle and specific needs. One of the best rated used family/passenger vehicles is the Toyota Camry. Need more room for outdoor activities? You may want to check out the Toyota Tundra pickup truck – a very reliable, helpful vehicle. Have an active, on-the go lifestyle with kids? How about a Toyota Highlander or Land Cruiser? If you’re looking for incredible financial and environmental savings, then of course you’ll want to consider a Toyota Prius. Toyota used cars will give you years of reliable, safe use without hassle!